Starr Williams is a young black high school student. At home, she is a low-key latchkey kid with street smarts, yet always on tenterhooks, enveloped in the perilous crime underworld of her ungentrified neighbourhood. At her all-white school, she has learned to mute her “blackness” and is surrounded by insipid teens spouting black vernacular like low-rent drag queens, and who pounce on causes like Black Lives Matter to appear cool and credible. Adapted from the young adult novel of the same name by Angie Thomas, Starr is essentially living two lies, and she begins to only find her own truth when her childhood sweetheart is senselessly killed during a police stop gone awry that she is witness to. The effect on Starr is devastating to watch and her support network reacts in different ways, her mother Lisa becomes overprotective and will initially not allow Starr to testify at a Grand Jury or give interviews, yet her father Maverick compels her into speaking out and to be proud of her heritage and herself. All of this simmers with the neighbourhood ganglord King threatening Starr on several occasions to keep quiet, her schoolfriend turning against her, taking sides with the policeman and his family. Even her policeman Uncle Carlos (an impressive turn from Common) exposes the harsh reality of this upside-down world where he would shoot a black man in a similar situation, yet would ask a white man to raise his arms first. It’s here we become as frustrated as Starr, as she is trapped between many trains of thought. 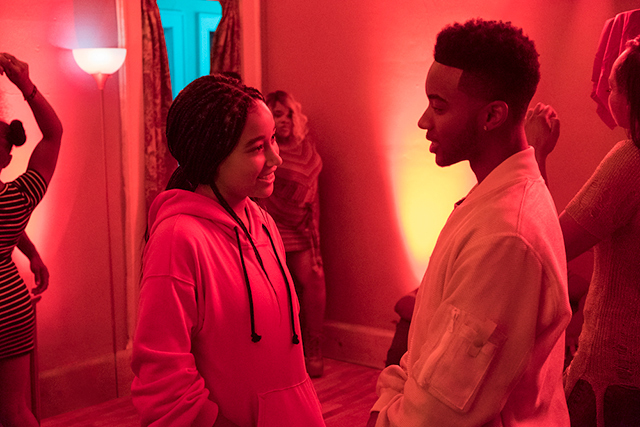 Amandla Stenberg is tremendous in the lead role and turns in an incredibly nuanced performance that threatens to boil over on many occasions, and when it does, it is devastatingly palpable. Another standout is Russell Hornsby as Starr’s father. So powerful and honest is his performance that every time he is on the screen tears will roll down your face. It’s also brilliant to see Regina Hall as Starr’s mother, a hard-working and incredible matriarch who is determined to not only protect her children, but to promise them that a better life exists for them. Although the film’s subject matter is relentlessly devastating to watch, there are some clever moments of humour that help cut through the tension. Starr’s white preppy boyfriend Chris (KJ Apa) promising her that he doesn’t see her colour is a line so cheesy and obvious that both of them actually laugh it off. When Starr’s father meets Chris for the first time after prom night, there is a wonderful moment where Maverick becomes the alpha father from a thousand teen rites of passage films, stopping the two from kissing each other goodbye. 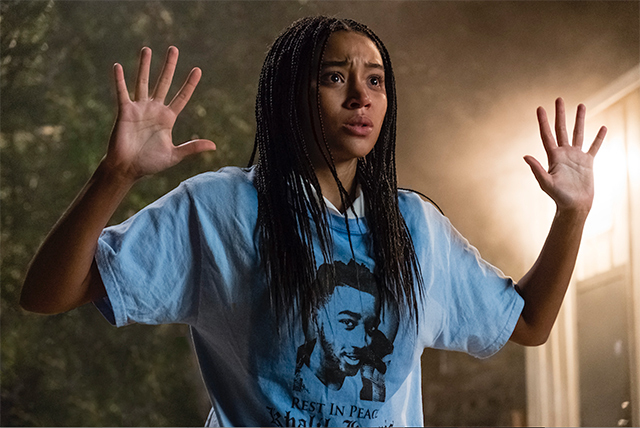 As the film ends on a shocking twist that serves to highlight that truth comes from the mouths of babes, or that The Hate U Give Little Infants Fucks Everybody, Starr decides that it is time to stop assigning blame for the state of the world, but rather that we are all culpable. This film is not only intensely powerful, but its premise is so real and such a timely and important one to explore that its wonderful to see it end on a note of hope and Starr finally gets to shine her light. Spectacular.